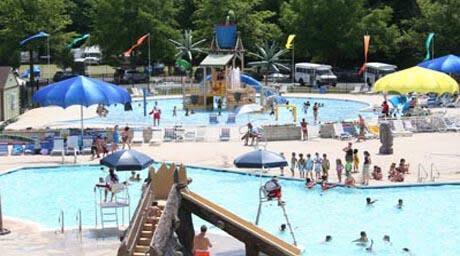 Get lost in a tropical paradise at Volcano Island Waterpark, Sterling’s favorite place cool off and have fun! 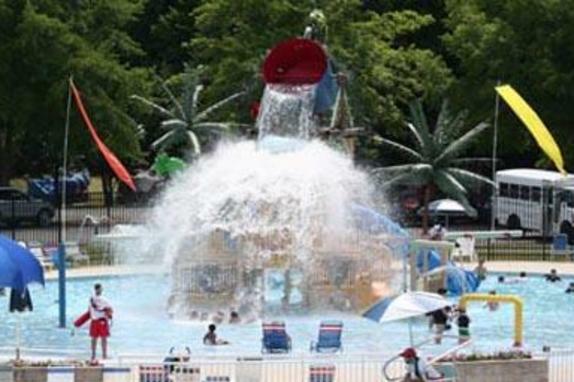 Located within Algonkian Regional Park, Volcano Island is loaded with fun features for adults and kids. Our waterslides offer a pair of riveting rides, including 230 feet of fun on the open slide, or a thrilling 170 foot ride in complete darkness on the closed slide! 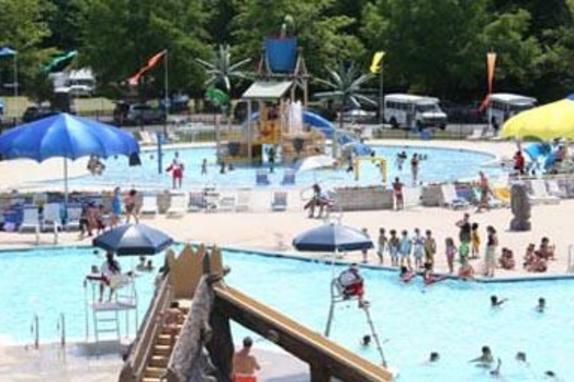 A large main pool offers splashing and swimming space for everyone – and includes an awesome tree stump slide – a fast, quick ride that delivers guests into four feet of cool water! The centerpiece of Volcano Island is a huge play feature that has tube slides, open slides, fountains, squirters, platforms and of course, a giant 500-gallon dumping bucket. 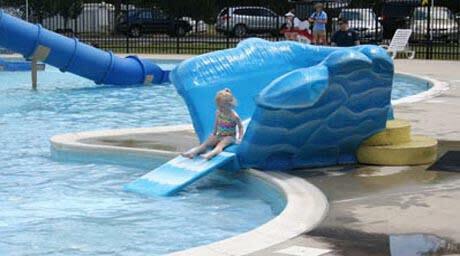 Positioned in shallow water, the play feature is great for young and old alike. 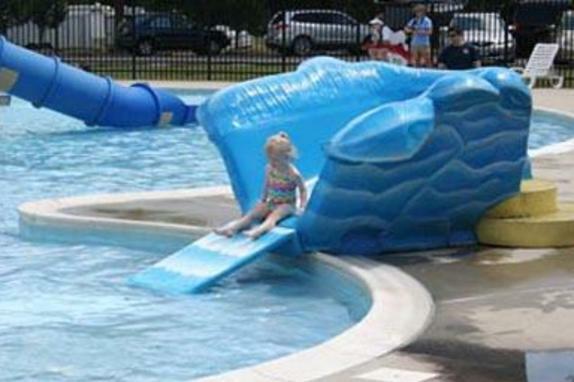 The shallow area also features a small kiddie slide. And there’s more! 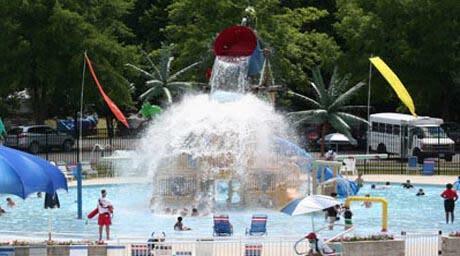 Our splash pad offers water cannons, showers, sprinklers, buckets and more – a great place for the kids and you too. Then there’s our Neos game. Remember the hand held game Simon where you had to mimic the computers sequence? Well think of that, only on a giant, 10 foot wide scale! It’s a great time when you feel like getting out of the water for a bit. And it’s free. Our challenging and fun miniature golf course is right next to the waterpark, and offers 18 holes of fun. Of course your day wouldn’t be complete without food, drinks and more - available at the Paradise Café. The Paradise Cafe is stocked with all your favorites! Sit outside under the large shade umbrellas and enjoy a great lunch, then head back and cool off under the bucket!